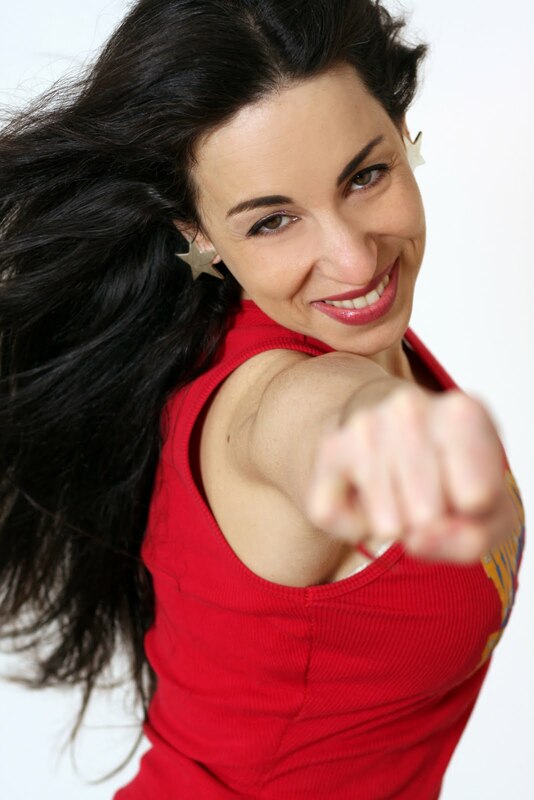 StageBuzz.com: FRIGID New York Interview - Cyndi Freeman "Wonder Woman: A How To Guide for Little Jewish Girls"
FRIGID New York Interview - Cyndi Freeman "Wonder Woman: A How To Guide for Little Jewish Girls"
Community Youth Theater in my home town of Newton, Massachusetts. Tell me a little bit about your show. My latest solo show traces my journey from a little suburban Jewish girl obsessed with Wonder Woman to fabulous burlesque Queen in NYC. In the show I tell personal tales of heroics and harrowing adventures and spewing trivia about America's first and favorite female superhero, Wonder Woman. I was watching "Wonder Woman," the TV show with Linda Carter - again - and started to wonder, what is it that keeps bringing me back to this icon, and what about Wonder Woman is it that gives me tingles down my spine? Who are your collaborators and how long have you been working with them? My husband Brad Lawrence is my biggest and best collaborator. He is also a story teller in NY and he helps me craft many of my stories. For this show I am also working with an amazing Director, David Drake, who I have been working with on the text of the show for two years. I plan on doing a bunch of gogo dancing!!!!! And then I hope to take this show on tour in the US, Canada and the UK. Did you know that Wonder Woman was created by a man? His name was William Marston, he also invented the lie director test. A celebrity psychologist during the 1930's-1940's (Think Dr Phil - without the screaming.) He believed in the superiority of women, and that there would be no peace on this planet until women were in charge. To quote him "Frankly, Wonder Woman is psychological propaganda for the new kind of woman who I think should rule the world." Let Me In! Déjame Entrar!